Product #60638 | SKU Ace 500 | 0.0 (no ratings yet) Thanks for your rating! Compact, ultralight wireless video system that delivers uncompressed 1080p60 video at up to 150m with zero delay. A deposit of $300.00 is required for this pre-order. 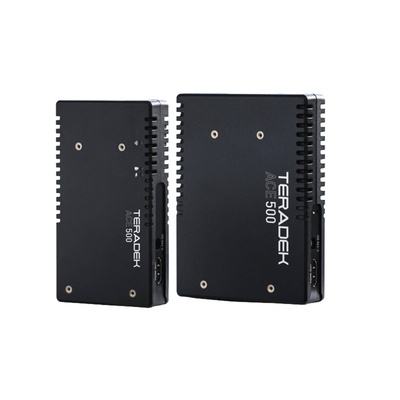 The Teradek Ace 500 Wireless TX/4RX is a compact, ultralight wireless video system that delivers uncompressed 1080p60 video at up to 150m with zero delay.